ONLY YOUTH PROGRAM WITH ACADEMIC REQ. 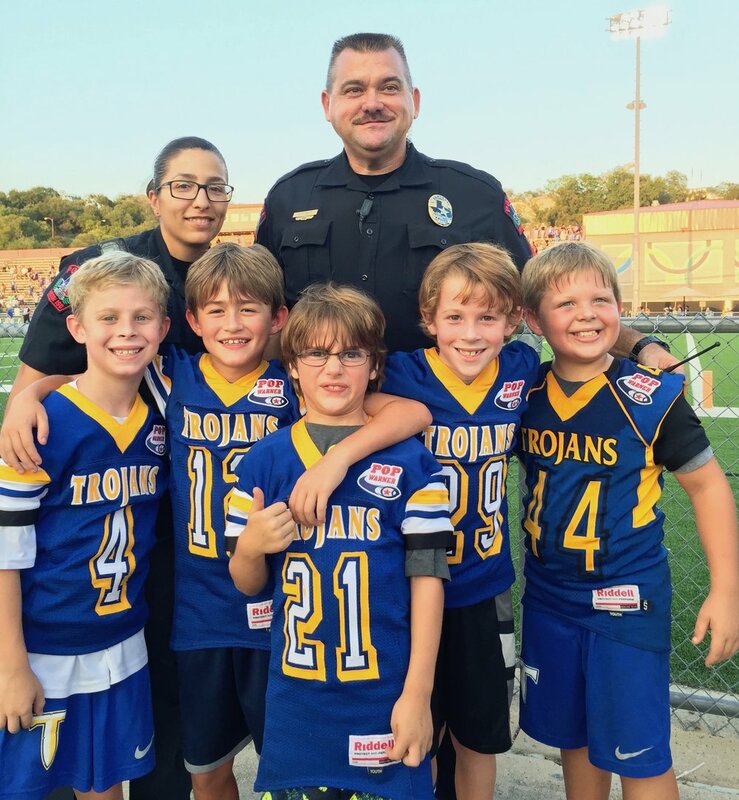 Trojans Pop Warner Football & Cheer will play our sixth season this fall (2018) and there is so much to be excited about! Last year's program included a District Championship by our PW team and we look forward to building on that success. But we could not make all this possible without the community’s support. Special thank you to our initial 2018 Trojan and Gold level sponsors below. 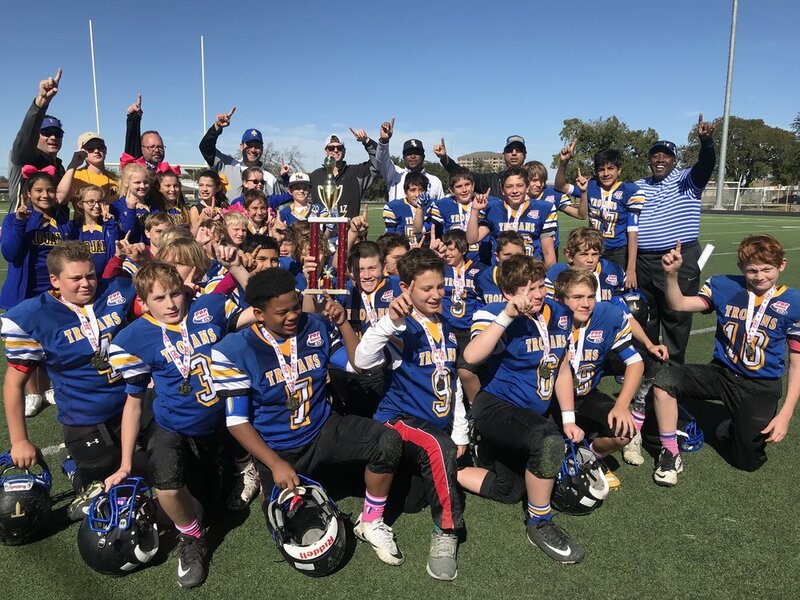 Trojan Pop Warner Youth Football is a non-profit organization run by volunteers. All donations go directly towards the operation of the organization and the league. Community sponsorships allows us to provide scholarships, important equipment and more! 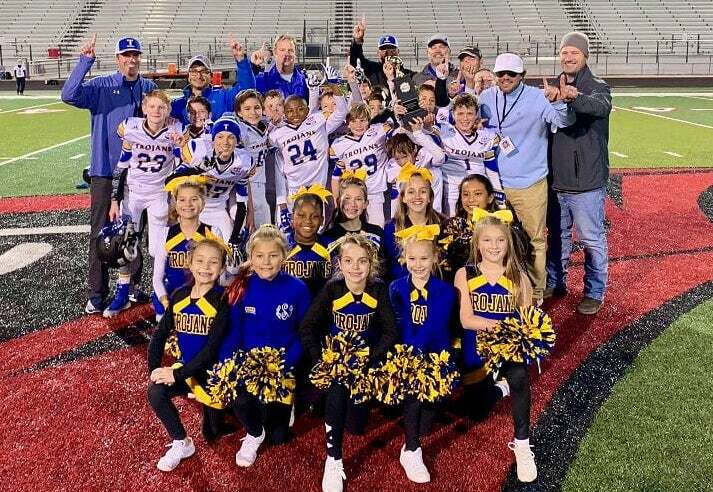 Congratulations to our JPW team for winning the 2018 District and Regional Championships and making it to the state final in McAllen! This team had a commitment to teamwork and a will to win like no other! Way to go boys! BE A PART OF OUR WINNING TRADITION!